Many companies claim to offer an IoT platform, but the majority of those solutions represent only a small subset of the required functions or only address limited segments of the market. However, Jack Indekeu, Telit’s chief marketing officer, says a platform should enable enterprises to put together a robust end-to-end IoT solution that can scale from simple proof of concept to full commercial deployment across different markets and industries. In the interview below, Indekeu explains why and what that entails, and talks about what else Telit provides to assist businesses to implement – and benefit from – the Internet of Things. 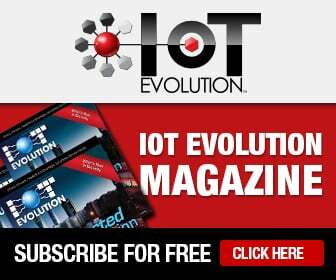 How do you expect the IoT platforms market to develop going forward? Indekeu: As the market matures and becomes more educated, I expect the use of platforms to increase as people realize the potential of IoT. For example, one of our customers that supplies cooking oil started out with an IoT app to monitor the inventory in its oil tanks at more than 30,000 restaurants it serves across North America. It saw instant improvements in its logistics, just-in time deliveries, and customer satisfaction. Once those restaurants were IoT-enabled, that company realized it could also monitor fryers and other kitchen equipment, as well as other functions in the building, including the HVAC systems. Today, it is also monitoring entire restaurants and selling valuable operational insights directly to restaurants’ owners, suppliers, and maintenance crews, resulting in improved performance, cost reductions, and higher quality. If it had just built a tank monitoring solution, it would have been very hard to go back in and use the same system to keep track of factors that influence operational efficiency and food compliance for its restaurant operator customers. What a platform allows a company to do is start with something, and then discover there’s a lot more it can do. It’s scalable not just in adding new insights, but also in increasing the scope of IoT. The word platform means different things to different people. What constitutes an IoT platform in Telit’s opinion? Indekeu: As Telit sees it, a platform consists of purpose-built sophisticated software components and a cloud-based infrastructure that are seamlessly integrated to perform all the critical connection, management, and integration functions for any end-to-end IoT deployment – things to apps made easy, as we like to say. In addition, a platform must come with all the necessary tools, resources, and expert support to put together a scalable and secure end-to-end IoT solution. You can think of selecting an IoT platform as being similar to joining a business franchise, since it ultimately provides companies large and small with a proven path to success and reduces the risk, time to market, cost, and complexity of onboarding to the Internet of Things. At the core, an enterprise-grade platform must include built-in capabilities for connectivity management, remote device management, edge intelligence, data management, enterprise integration, end-to-end security, custom app creation, dashboarding, and big data analytics. Connectivity management lets you provision, manage and analyze your IoT connections across multiple wireless networks to optimize data consumption and cost. Device management offers remote over-the-air updating and troubleshooting of hardware in the field because we recognize that accessing deployed IoT devices can be a challenge. Data management includes a broad range of functions related to data collection, data transport, data storage, and data delivery. Security is a leading concern of enterprise executives. What do leading IoT platforms offer in the way of security? And what about management? Indekeu: A constituent part of a platform is what we refer to as administration and security, providing extensive administrative functions from a single, intuitive web-based management portal and superior layered security against external and internal threats. This provides the capability to manage and track your deployments, especially where you set up your operations utilizing a multi-tenant structure. This is essentially where you keep all your management tools. The data piece is also key. Tell us more about it. Indekeu: You need to be able to collect the data, and having the edge intelligence or knowledge to decide what gets sent, where it gets sent, and when it gets sent is fundamental. With data management, the key challenge is about what you do with the data once it goes into the cloud, not just the basic collection of data itself. Standing up an IoT deployment typically requires a business to create bridges to its existing systems and to create applications. What tools are available to make all that easier? Indekeu: Telit offers a huge library of device drivers and APIs, because in a platform you want the capability to connect almost anything that’s out there. That means you need to support any protocol and any connectivity. The final part of a platform is application development capabilities, which include multiple approaches to create dashboards, web-based, and mobile apps. That lets you integrate device data with your enterprise systems and cloud-based data analytics solutions. You talked earlier about the importance of a platform offering end-to-end functionality. But is there a downside – like vendor lock-in – to using a complete solution? Indekeu: I understand why someone would ask why they need such a sophisticated application for something like turning on a sprinkler. But I don’t accept the vendor lock-in point. A platform often comes with its own ecosystem. For example, Telit has its deviceWISE and deviceWISE Ready ecosystem, which means a lot of developers have deviceWISE software built-in. There are a couple of dozen technology partners that use our platform. With a platform, you’re buying into an architecture, but you’re also buying into a franchise of gateway providers and at the front-end are software providers like Google, SAP, and Oracle. You can work with any of these alone or together, and the rest of the data can go to a home-made, customized app. You’re buying into a support system of like-minded companies. We work with a number of technology companies and a variety of systems integrators and, in some cases network operators, that can collate or individually offer an end-to-end solution. These companies have the capabilities to put together a solution from the idea, through proof of concept, to deployment. If they don’t, we, as a platform provider, can do that. For us, it’s all about enabling companies. What does Telit offer for businesses that want to learn more about IoT? Indekeu: We have the Telit Technical Forums where people go to learn more about what they can do. We have the deviceWISE University, which helps companies that want to develop solutions themselves become proficient at using the platform. It’s about building the franchise; I don’t think of the platform as a piece of software. We also have our IoT App Zone, which enables you to find the resources you need to assist your solution. Finally, we have our competence center, which will be happy to take you through the whole service introduction process from A to Z or address a specific issue. How can Telit help organizations decide which approach to take and what platform elements they need? Indekeu: Our vision is to provide a new way for companies to get on board the IoT. We’ve, therefore, combined all our existing portfolio of consulting services to provide end-to-end solution enablement across virtually any market or industry in the world. We aren’t looking to sell you a piece of software and leave you hanging. Come to us, present your challenge, and we’ll find a solution that you can implement yourself, with a partner or with us. Our aim, with our network of partners, is to take companies through the entire process from concept ideation to systems architecting and concept development to commercial deployment. This is intended to help companies enhance their businesses by saving money, making money, and achieving compliance. This piece was reproduced based on an IoT Now article. Tennant Company is a leading manufacturer of large enterprise and industrial-class cleaning machines, most commonly purchased for cleaning fleets of large public venues like airports, stadiums, and conference facilities. With enterprise fleet sizes varying from 10 to 10,000 machines, Tennant’s customers demanded a digital fleet management system to help identify opportunities to increase productivity, improve cleaning efficiency, and lower the cost to clean upkeep costs. But the Minneapolis-based company found that acquiring IT or engineering expertise to create a scalable platform in-house would be cost-and time-prohibitive, so it decided to source an outside set of outside providers. In 2015, Tennant collaborated with SAP and Telit to develop IRIS® Asset Manager. The solution collects, and communicates complex business intelligence like daily machine utilization, and asset location. • integrating the resulting data with the SAP HANA Cloud Platform. Telit HE910 modules inside of an asset gateway are installed in IRIS-enabled cleaning machines, connecting them to a cellular data network. The gateway installed with Telit’s deviceWISE asset gateway agent acts as a collection and decision-making point for information sourced from in the machine. This hardware-software combination can efficiently aggregate and filter data at the edge, allowing businesses to analyze and act upon information closer to its source, and in near real time. Processed data is then sent over Telit’s cellular IoT Connectivity network to the cloud-located Telit IoT Platform powered by deviceWISE. The Telit IoT Platform is the place Tennant and its customers have the ability to manage both connectivity and data from a single easy-to-use web interface. Users manage IoT connection provisioning, management, and analysis across wireless networks to optimize data consumption and cost of IRIS-enabled devices. The platform’s application enablement platform is used to push device management commands to the cleaning machines’ asset gateway, and then direct certain processed data to the SAP HANA cloud platform. The SAP HANA platform integrates machine and enterprise resource planning data to provide real-time responses to customer and Tennant queries. SAP also provides the business intelligence reporting layer front-end for the IRIS solution. Meanwhile, DMI, an integrated, end-to-end mobility company, delivers visual data to the IRIS portal via a proprietary, Java-based dashboard framework called the Intelliportal. From there, Tennant’s customers can access a broad array of key performance indicators they can use to drive efforts to improve operational consistency and pinpoint cost savings opportunities. Tennant has benefitted from its integration of IoT solutions in three distinct ways, all revolving around one common theme: differentiation. • First, Tennant is now able to compete beyond cleaning performance. IRIS has been a key differentiator for Tennant and has helped the company secure and win business from competitors within nine months of launch. • Next, Tennant’s cleaning contractor customers have also used IRIS as a differentiator to win cleaning bids and have demonstrated IRIS as a tool to help ensure consistent and efficient cleaning for their customers. • Finally, Tennant’s enhanced knowledge of its customers provides additional insights that result in the company being able to distinguish itself as more of a partner and consultant than just another supplier. Future additions to the IRIS solution will continue to drive Tennant’s customer intimacy to new heights. Building on the scalable and secure Telit IoT platform powered by deviceWISE reduces cost, time, and complexity of adding new IoT-enabled features like battery metrics and remote diagnostics in the future. Telit is a leader in Internet of Things enablement, offering a broad portfolio of integrated products, platforms, and services. Its solutions support and enable IoT deployments – from things to apps. Fred Yentz, CEO of Telit IoT Platforms, recently shared his thoughts on the transformative nature of the Internet of Things, and what Telit is doing to enable this transformation. Do you agree that the Internet of Things is not so much about connections but rather more about context, services, and things? Yentz: Absolutely. The Internet and connectivity have been around for a while. When I think about what IoT brings, it’s the ability to affordably connect to the things. Thing information and control can now be delivered using IoT technologies and services. It is this new information and control capability that is enabling the servitization, a transformation journey, of products and assets. How we interact with our homes, autos, transportation systems, and find our pets are just a few examples of how connecting things can change our behavior and improve our lives. Enabling the shift from things to services ultimately allows thing makers or OEMs go get closer to their customers and better understand the value that their products and services provide. OEMs can achieve these objectives without significant work or risk by leveraging Telit’s IoT portfolio of technologies and services. What does the phrase IoT Connected Economy mean, and how should businesses be thinking about and positioning for this new environment? Yentz: IoT is a set of enablement technologies and services that allow companies to create efficiencies, processes, and services through the connection and interaction with things or assets that they may have never been able to connect in an affordable or managed fashion. As such, the discussion about IoT needs to start with how you can make money, save money, or stay compliant. Defining the business and service use case first will simplify and speed up the implementation of the IoT services you need to accomplish these business objectives. Ecosystems have become an aspect of moving communications technology forward. Tell us about Telit’s partnerships and why they are meaningful. Yentz: Collaboration in the IoT domain is vital. It is critical that we have an ecosystem of those who make things in addition to partners such as Google that provide tools such as big table or big query to discover insights from the thing-derived data. Today, analytics and big data are technologies and services that can provide solutions to problems that could only be imagined in the past. Telit can instrument and connect things into our IoT service and provide this data to Google in a seamless way. Google tools and partners can transform this new data and information into customer-facing applications and insights. The combination of both Telit and Google technologies and services is a great example of how IoT delivers customer value through partnerships.